Requirements for the materials in use don’t get much higher than those within the automotive industry, with every screw, cable, hose, and connection being subject to rigorous testing. The responsibility for material testing lies largely or at least increasingly with the suppliers – predominantly medium-size companies of all different types. 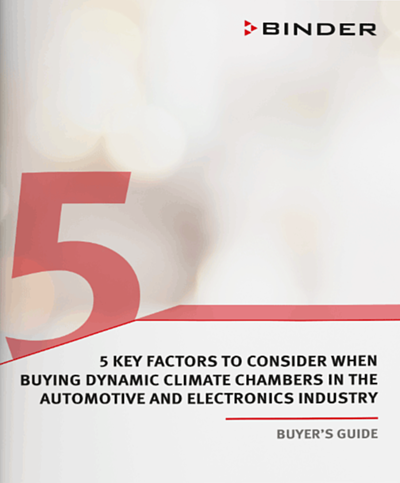 The choice as to which dynamic climate chamber is used to test subcomponents will depend on the size of the objects to be tested as well as the data required, which might include temperature, humidity, and rate of change.